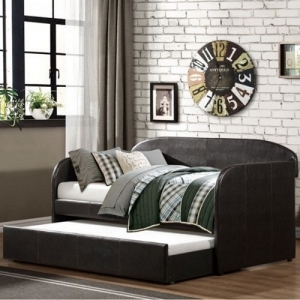 A day bed is more of a mixture between a sofa, bed, and a place to lounge. 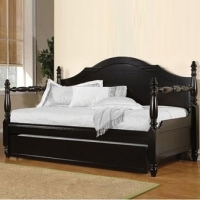 These beds are commonly used as a couch or a place to lounge during the day and a place to sleep during the night. 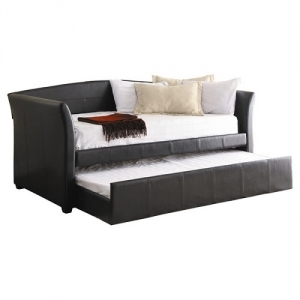 This bed may serve as place for guests and others to sit and be comfortable, using the daybed as a sofa. 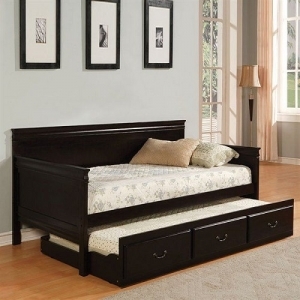 The daybed may come with a trundle underneath or a set of drawers for storage. 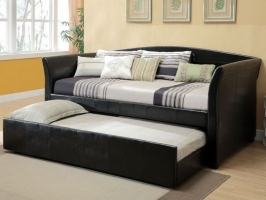 Daybeds come in either wood or metal and with a variety of finishes and colors to choose from. 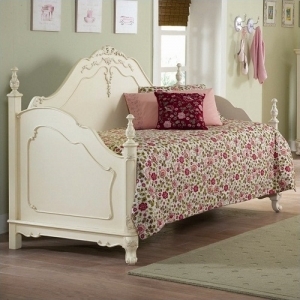 They come in different styles; whether it is a sleigh style, Victorian, contemporary, traditional, simple and sleek lines, or more elaborate with detailed carvings, there is a daybed to please your own personal style. There are 29 products in this category.